There are already many superb games for Android, and there’s no doubt in my mind that it soon will become one of the world’s greatest mobile gaming platforms. One can only imagine what the games will look like when they can be powered by devices with dual-core 1.5 GHz Snapdragon processors, 4.3 inch screens and full openGL support. Unless you’re an über-gamer who sleeps with a PSP under your pillow, there’s no need to carry a dedicated portable gaming device when you rock a high-end Android phone. The games may not have autostereoscopy 3D effects like Nintendo’s upcoming 3DS, but some of them already have graphics on par with the PlayStation Portable. 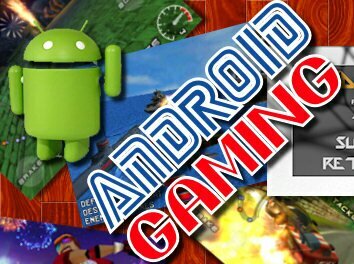 In early June, TechCredo covered Android 3D games, as well as console emulation – now it’s time for a video overview of what Android currently has to offer when it comes to gaming. I will try to keep this post updated with the latest cool videos of Android games. French video game developer Gameloft arguably makes the best Android 3D Games at the moment, although the company has been critized for not making its titles available in the Android market. As of now, these games can only be purchased in Gameloft’s own game store. The brothers behind Gameloft are the founders and owners of major player Ubisoft, so it’s understandable that the company can put a bit more resources into creating its games than your average Android game developer. Polarbit is currently another major developer of 3D games for Android, with great titles such as the racing game Raging Thunder 2 and the arcade flight-simulator / shoot ’em up Armageddon Squadron. Check out the video below for a quick demo of Polarbit’s most popular games. Selected quality 3D games for Android from various developers.